GeishaGlam by C+I ~ From the Board*Room to the Bar*Room! 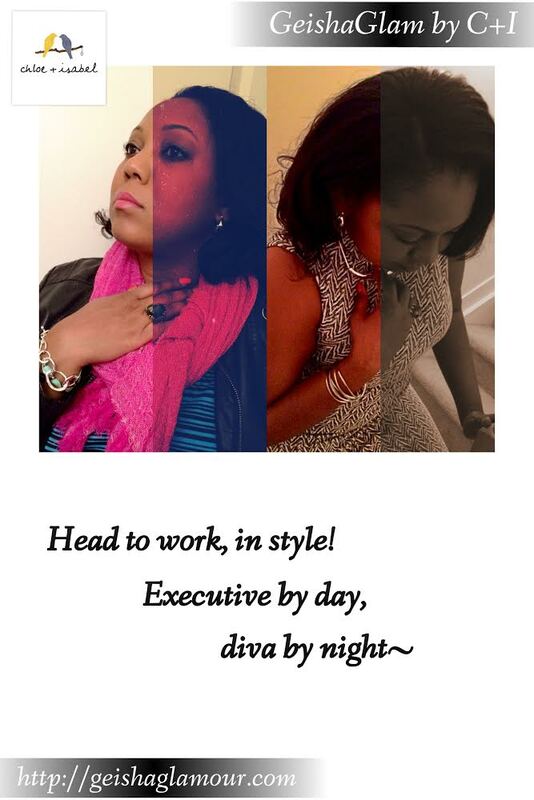 Check my sister, Lori, rocking her new Chloe+Isabel sparkle, as she heads to work! Her La Lune Sculpted, Click-Top Hoop Earrings and Collar Necklace plus Organic-Link Toggle Bracelet and Modern Sculpted Bangle Set easily transition from day to evening– sleek elegance, all day long. Which Chloe+Isabel must-haves will you wear to get through the day? 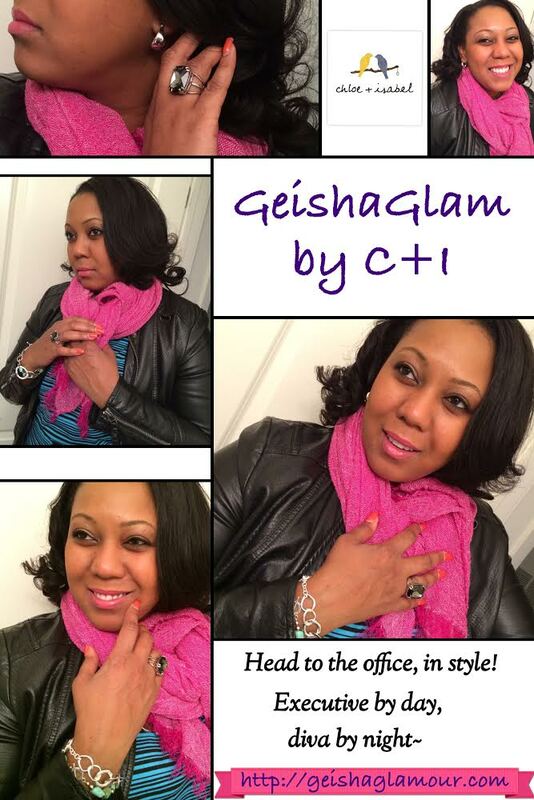 Previous GeishaGlam by C+I ~ Get Exclusive Berry Beau Monde Designs for FREE! 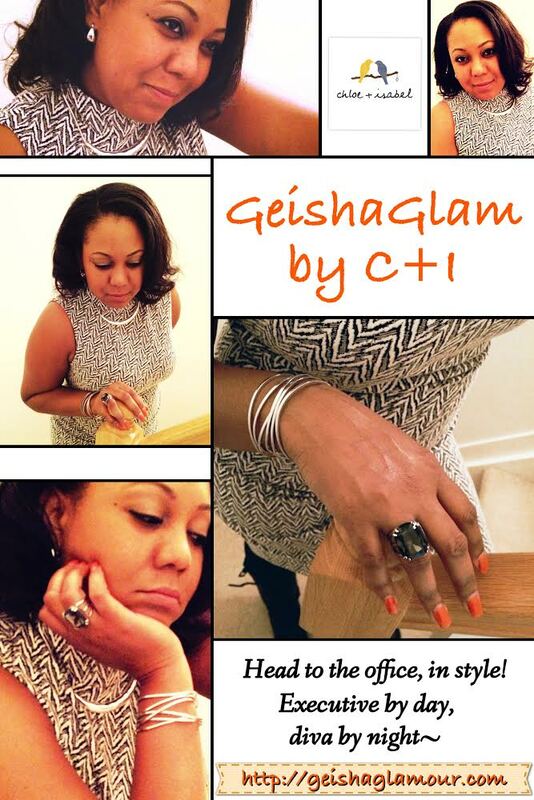 Next GeishaGlam by C+I ~ My Online Birthday Party Pop-Up Shop!!! Going on NOW!! !